Insurance can be one of the most frustrating things about adult life. You spend all of your time working hard to earn some cash and then that dreaded renewal letter lands on your door asking for loads more money to cover your treasured possessions. While car insurance is a legal requirement if you want to drive on the roads, other forms are not essential but logical. After all, taking home insurance as an example, if you’ve invested your pennies into making your home a castle filled with luxury items that you couldn’t live without – the latest television, gadgets, designer furniture and alike – the last thing you want is for some kind of disaster to occur that leaves you without your items, and having to pay for replacements out of your own pocket. As already mentioned, you’ve spent your hard-earned money buying items to make your house a home, somewhere you feel comfortable and filled with the things that show off the real you. This could be the latest gadgets and gizmos, it could mean the kind of furniture you saw on one of the antiques shows on television, or it could be a few treasured family heirlooms. Whatever you have inside your home, you should want to look after it and home insurance will help to recover your financial losses in the event that your house is burgled or damaged by fire or flooding, for example. We all enjoy having friends and family over to our homes for a summer barbecue, a few drinks on a Friday evening after a long week at work, or just to watch the big game, but unfortunately accidents do happen. Having some kind of home insurance in place will also cover the people under your roof if they are injured while round at your house, giving you piece of mind that your clumsy friend won’t be left to pick up all the costs himself when he inevitably trips over his own feet in the garden playing cricket as the burgers simmer away! 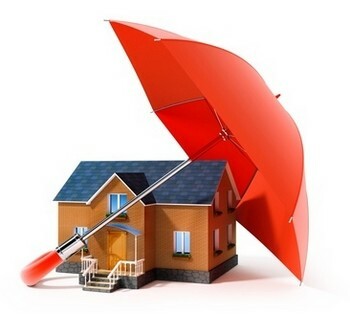 A lot of home insurance policies are regulated on a local basis. Your local authorities might regulate the type of policies available to you and as such the price will vary as will the amount you can be covered for. This can range from county to county, state to state, even on a smaller scale than that – city to city, so do your research. Some lenders will refuse to give you a mortgage without having home insurance in place as they may see it as a kind of insurance of their own that you are able to look after your home and repay the amount they lend you. There is no such thing as a standard or blueprint form of home insurance. You can tailor your own policy to cover the things that you want to cover. You can add and remove parts of your policy to suit your budget and your requirement, but remember, you risk missing out on insurance if you remove things and paying more for what you add.